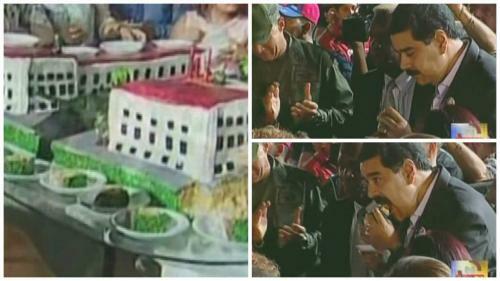 The cake is a recreation of the “Cuartel de la Montana”, the palace that Chavez famously stormed in 1992 as an army commander to protest Carlos Andres Perez’s government. 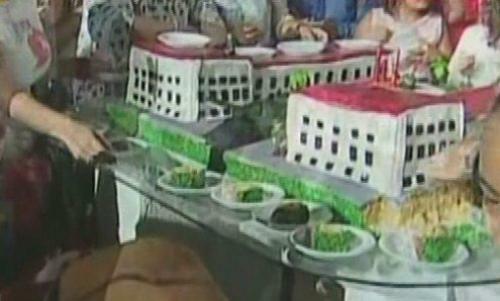 with the state sponsored food program. Evidently, the government’s priorities are elsewhere.